We feel proud to introduce ourselves as the well-known service provider of Hydraulic Excavator Rental Services. The offered hydraulic excavator rental service includes renting the machines and tools for excavation purposes. Our offered hydraulic excavator rental service is executed within the specified timelines. 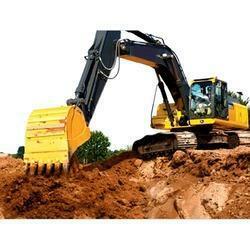 The offered hydraulic excavator rental service is very affordable in rental rates. Also known as Excavator Rental Service. Looking for Hydraulic Excavator Rental Services ?